These birds think I'm stalking them. I'm just walking here. Move out of my way. As you can see I'm still trying to walk every day. The weather last week was too hot many days but today is cooler despite mud from the rain. I'm walking around work which is in the business park area across from Westport Plaza. It's weird. I went to high school only a few miles from here. Gotta go. 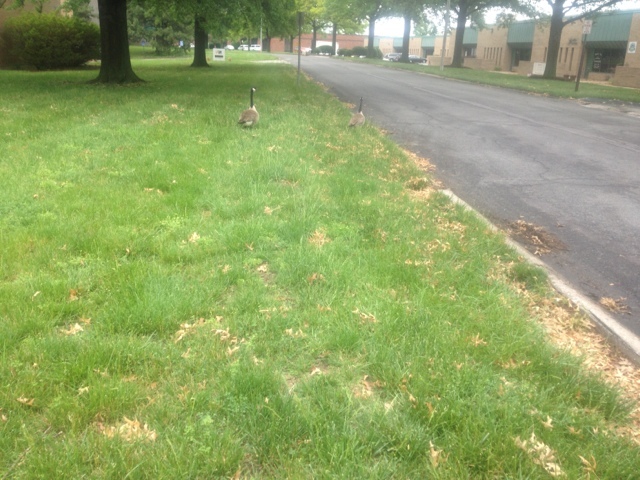 These geese are getting ornery.